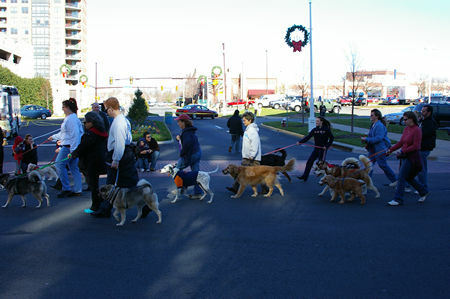 Even the dogs get to parade in Reston. 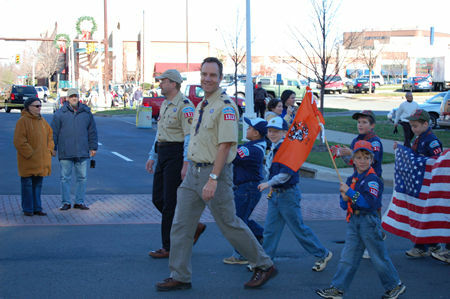 The Cub Scouts show their stuff. 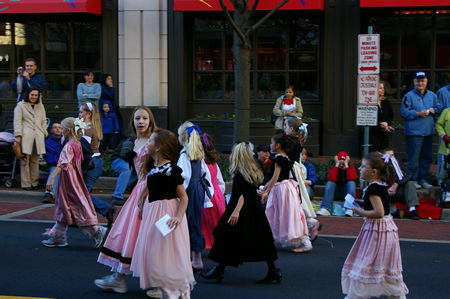 Reston has the population of a city but the feel of a small town. Some of our young ladies dressed in their finest. This Edsel is older than Reston. 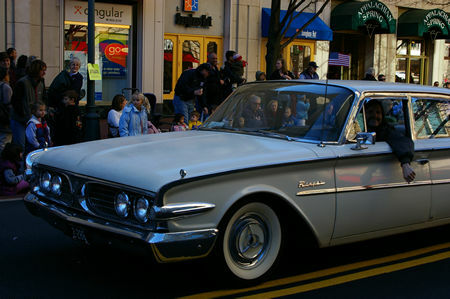 Reston was started in 1964 but production of the Edsel ceased in 1959. 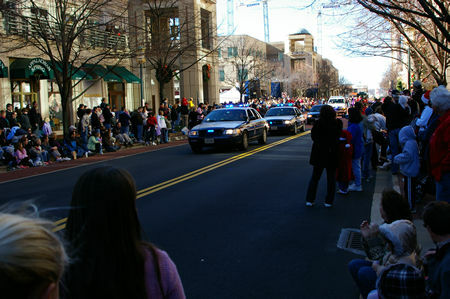 The Fairfax County Police serve Reston well and have a district station only a few blocks from the parade route. 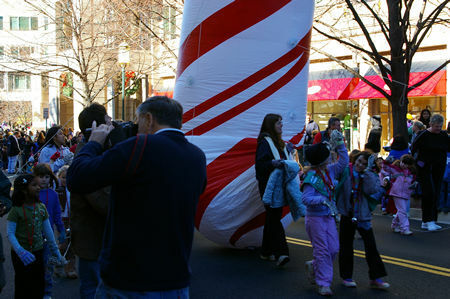 It takes a lot of help to keep this candy cane in tow. 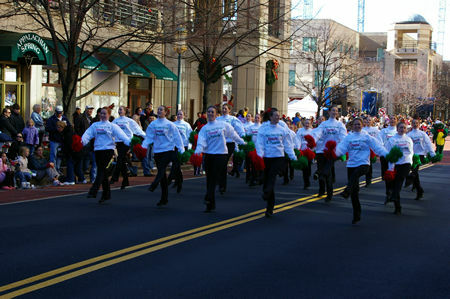 No parade would be complete without the dancers. 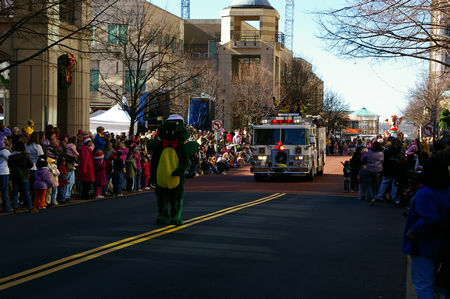 The Fairfax County Fire Department also gets a big welcome. 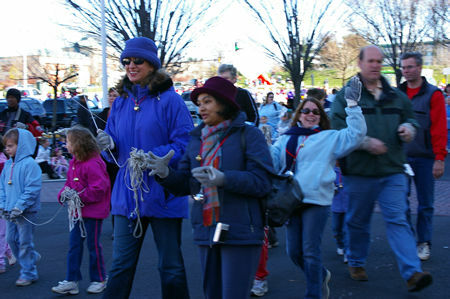 Students and parents from Hunters Woods and Sunrise Valley Elementary Schools marched in the parade. 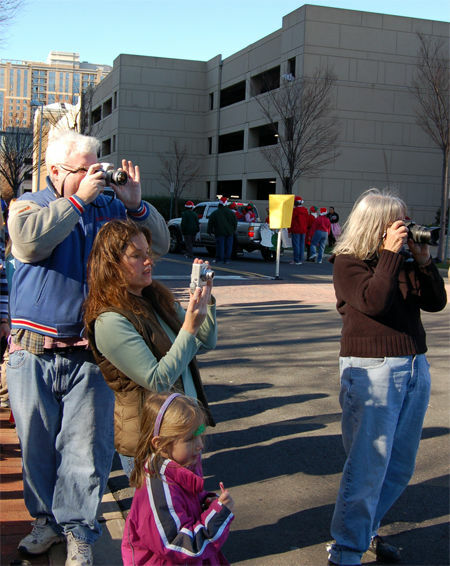 There was no shortage of photographers covering this parade. 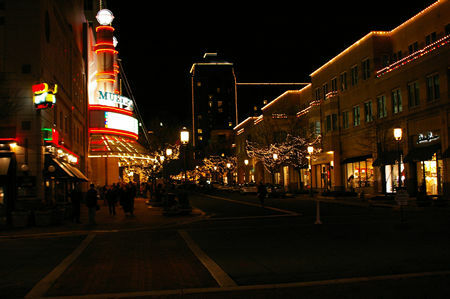 This is a view of the parade route on Market Street at night. It is often closed to vehicles as in this picture. 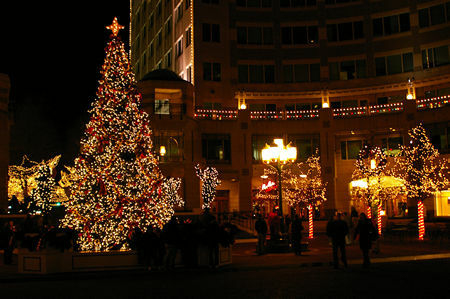 This is Fountain Plaza across from the ice skating pavilion. 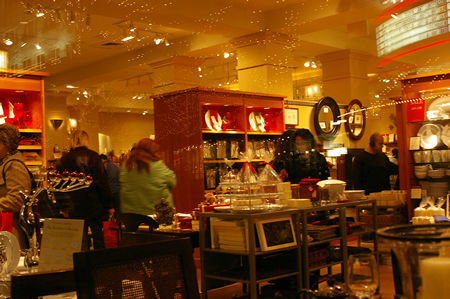 Looking into the Pottery Barn. 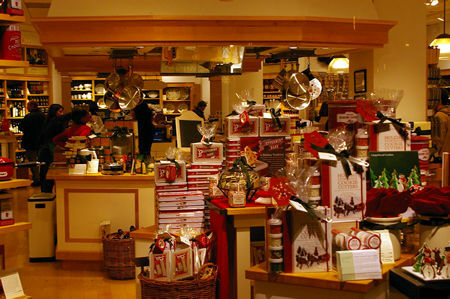 An outdoors look into the Williams-Sonama store. 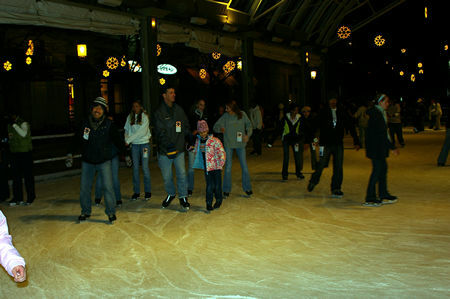 Skating is quite popular this time of the year.